What are wrinkles? What causes wrinkles? Wrinkles are the tiny folds, ridges or creases in the skin. They are caused by habitual facial expressions, aging, sun damage, smoking, poor hydration, and various other factors. Wrinkles are the tiny folds, ridges or creases in the skin. These wrinkles can be temporary or permanent. The temporary kinds are usually caused by staying immersed in water for too long. However, most people are not worried about these ones, and might not even consider these as wrinkles. The wrinkles that haunt most people’s nightmares are the permanent kind. Wrinkles are one of the primary signs of aging, which is what scares people, not the wrinkles themselves. Wrinkles differ from person to person. However, on some wrinkles may start appearing as early as in their twenties. On the face, the wrinkles are mainly concentrated around the eyes, mouth, and the forehead. However, wrinkles also occur on the hands and feet. Wrinkles occur due to muscle contractions. Whenever we smile, frown, chew, raise our eyebrows, or make any expressions on our face, our muscles pull and contract. Over the years, these contractions make indentions in our skin which start showing. Also as we grow older, our skin cells divide more slowly, and the dermis, which is the skin's inner layer, begins to thin. Hence, our skin loses stretchiness and structure. All this leads to our skin losing its ability to hold on to moisture, makes less oil, and is slower to heal, which makes it less prone to be able to heal the damage from the contractions. Other factors that contribute to wrinkles, and especially premature wrinkles include sun damage, smoking, poor hydration, and others. The sun’s ultraviolet rays tend to penetrated the skin and lead to damage. It tends to break down the skin’s support structure allowing wrinkles to form. Smoking also leads to premature aging and wrinkles. In fact the longer one smokes and number of cigarettes smoked lead to more wrinkles. 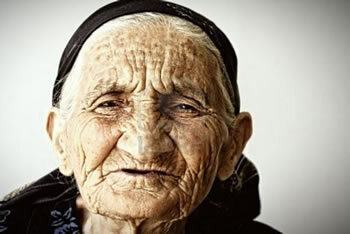 Smoking tend to accelerate the aging process, and wrinkles skin. Early wrinkles can be seen in smokers as young as in their early twenties. Wrinkles are also more likely to be deeper in smokers. Smoking also gives the skin an unhealthy color and coarse texture. Believe it or not, sleeping patterns can also cause wrinkles. Not getting enough sleep can accelerate the aging process and lead to wrinkles. The quality of sleep is also important. Moreover sleeping with your face on the pillow can cause wrinkles and sleep lines on the face. Sleeping on the back is recommended for both sleep lines, and back support. Dehydration and lack of a good diet can also lead to wrinkles. A proper healthy diet and proper intake of water can keep the skin healthy and keep wrinkles at bay. Some kind of medications may also lead to early wrinkles. Always check the list of side effects of medications. Wrinkles can also be a genetic factor. If your parents have many wrinkles then accept that you may have a similar number of wrinkles at their age. However, as we have no control over our genetics, it is hardly worth worrying over.